First Sperm Whales of the Year! Today we had to wait a little bit at the base, but as soon as we got the news from the lookout we went to the sea. On land the sky was grey but a few miles away we had almost a blue sky. After a one hour driving the boat, we finnaly get to the location and we found a juvenile of a Sperm Whale. After a few minutes the whale dove. 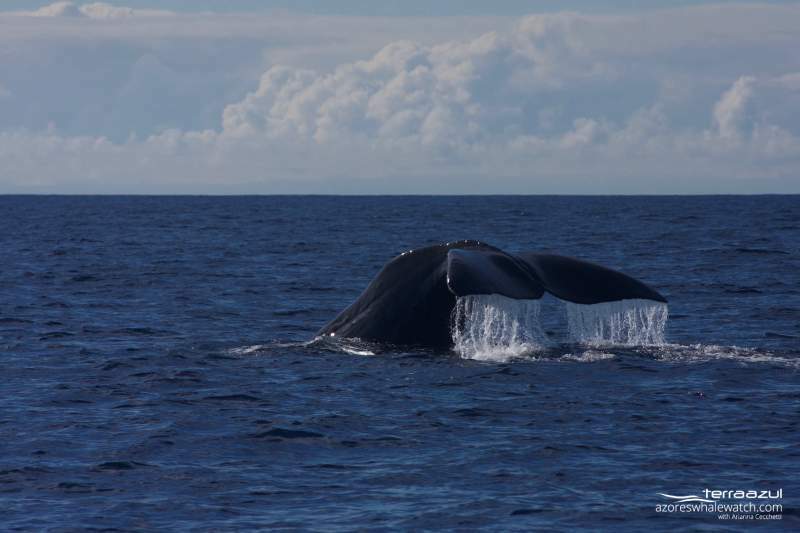 When the skipper looked back we found 2 more Sperm Whales and on the last part of the tour 2 more joined the group.